“What was the dream you had of yourself from the very beginning? When I was a little girl, I wanted to be Isis. From time to time (usually after watching the “Shazam! Isis Power Hour” on Saturday mornings), I would suddenly strike a pose, speak the magical phrase, “Oh, Mighty Isis!” and transform myself—mentally, at least—into a superhero goddess ready to use all my powers to fight against evil! Who did you want to be? Do you remember? If so, feel free to share it in the comments below. I’d love to know! As a little girl growing up in London, author and speaker Jo Saxton had a dream: She wanted to be Wonder Woman. And I mean, she WANTED to BE Wonder Woman—red boots and all! 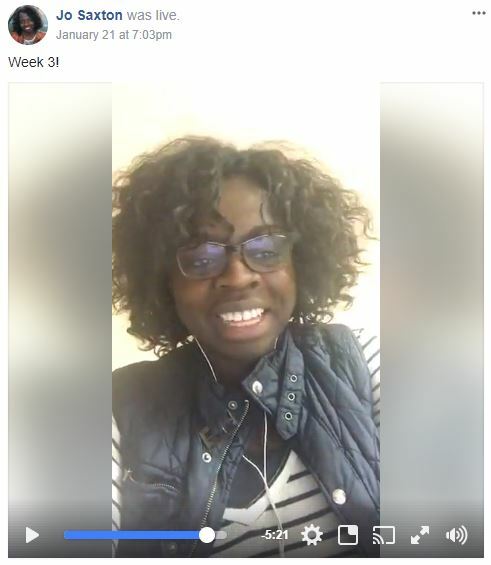 In case you are unfamiliar with this wonder of a woman, Jo is a Nigerian Londoner who currently resides in Minneapolis with her husband and two daughters. , traces Jo’s lifelong transition from childhood dreamer to adult achiever. We are basically opposite, and yet our struggles were/are very much the same. How is this possible? On her quest to explore the different things that held her back or kept her from moving forward in her own life, Jo dug deep and discovered that the root causes of her brokenness, although personal, were not unique to her. They were, in fact, quite common to the human experience—especially that of women. And like any good Bible teacher, she found biblical examples for each struggle! Weaving the story of her own life’s journey together with that of Joseph, Esther, David, Naomi, Hagar, Ezekiel, and others, the author reveals thread-by-thread that God is present with us through our most difficult experiences, and how they add color, dimension, and texture to our character. The Dream of You was never intended to be a survival manual. It’s about wholeness and redemption and purpose. The first part of the book not only prompts us to reflect on what (or whom) we’ve allowed to define us but also challenges us to re-imagine what life could be like moving forward mended. Whole. Jo explains the profound impact negative and destructive comments and experiences have on us—minimizing nothing. These experiences simply underscore the reason she wrote the book: to remind us that there is wholeness to be found in relationship with a redeeming God. Each chapter in the The Dream of You begins with a short, heartfelt letter from the author to the reader. In it she offers words of encouragement while setting the stage for the theme of that particular section. Jo expounds on each theme by sharing a formative experience from her own life as well as a similar story from the Bible, and you don’t have to be familiar with the Bible to benefit from this! Jo has provided quick summaries and backstories of each character so the reader will not be lost in the explanation. Then, without the use of a Venn Diagram, the author focuses her attention on the intersection of the stories, exposing the root of the issue. She culls out transformative biblical truths and challenges the reader to face the facts in her (or his) own life. She concludes the chapter with suggested action steps geared towards fostering personal growth and spiritual maturity. It’s EASY for me to recommend The Dream of You because it is well-written, organized, funny, engaging, well-researched, insightful, empowering, and theologically accurate. But what I would like to add is this: On every level, the teachings contained herein resonated with me. Jo’s journey mirrors my own—not on the outside, but on the inside. And I can testify that what Jo offers you in this book is the same thing I would offer you in my own book: Truth. God is faithful and ready to redeem the years the locusts have eaten (cf. Joel 2:25-27). He can take what was meant for evil and flip it for good. In fact, He does it all the time. The question is, are you ready to recover the The Dream of You? If so, then you have found the right resource with which to start your journey. I highly recommend this to women of all ages, but especially those who have been waiting on God for what feels like a very long time. 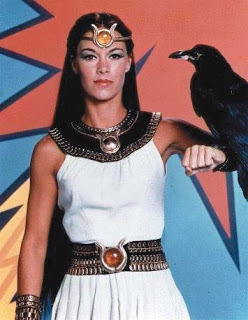 With no further ado, meet my childhood superhero: Isis.